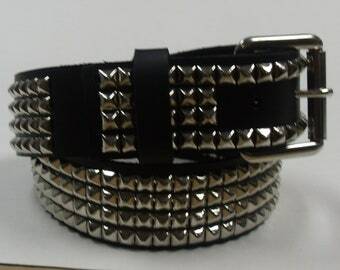 1 row studded belt, 3/4" wide. Made in The U.S.A. BUILT TO LAST GENUINE LEATHER. 3/4" ( 20-mm ) Wide Genuine Leather Belt. 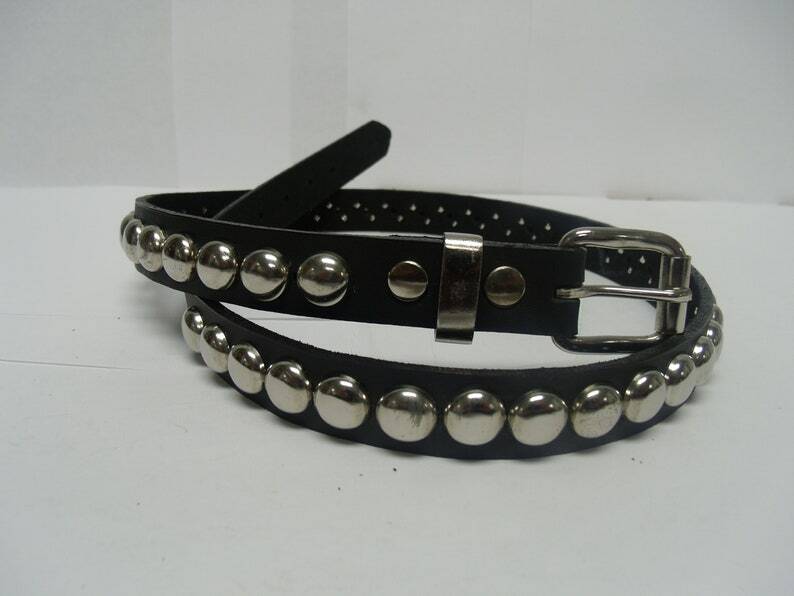 Round Dome Studded Spiked Black Leather Collar With Buckle closure Silver/Chrome Hardware Handmade in U.S.A.